I’m not quite sure how old I was when I started getting the remarks on my report card: Lynn needs to learn how to be quiet. I guess it was at whatever age I started getting report cards. I read them. I talked to my mom about the changes I needed to make. But when it came to actually making the change, I didn’t. I didn’t change until the consequences were about to become huge. Begging my parents for a wonderful opportunity, they allowed me to make the switch from a public school to a private school in seventh grade. I really enjoyed it, but my teachers were not enjoying me. My talkative ways were disrupting their classes. So, after my first semester I was given an ultimatum: find the self- control I needed or find a new school. Now, my teachers had my attention. The question was: Could I do it? Could I really have that much self-control? Help. It’s the one-word prayer God can answer. The first thing I needed to understand in order to change was that I wasn’t just disobeying my teachers. By disobeying my teachers, I was disobeying God. Second, I needed to get that God understood that change was hard for me. He wasn’t mad at me. He got me and He would help me. Jesus helped me. I learned the self-control I needed to keep my thoughts in my head until it was the right time to talk. I am so thankful I did. I got to stay at my school. Is there an area in your life you need to change? Reread Hebrews 4:13–16 in another Bible transla- tion. Ask an adult or older sibling to help you use Biblegateway.com and try reading this verse in The Message. Are you surprised at the way God feels about our weaknesses? Dear Jesus, help! In Jesus’ name, Amen. 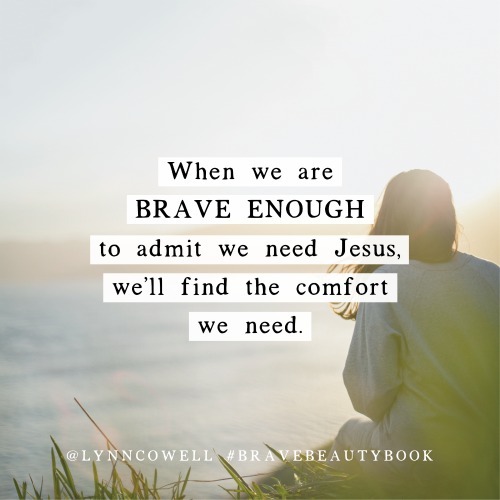 Today’s post is an excerpt from Lynn’s newest book, Brave Beauty: Finding the Fearless You. 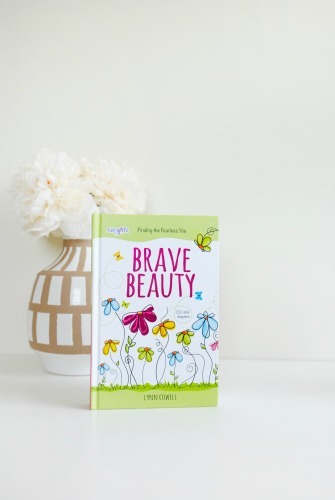 Order today (before August 28th) and claim free resources written just for your tween and you! Click here! I ask for help ALL the time, but I have yet to recieve any. Every. Single. Day. I cry out to Jesus, waiting is excruciating.